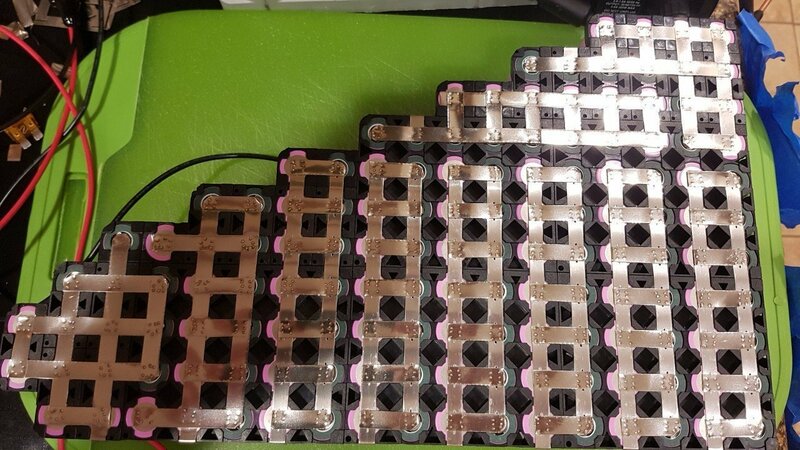 Ebike Battery with Samsung 30Q cells. Multiple layers of nickel strip and about 3000 weld spots. Wouldn’t it be cheaper to put Atmel chip on the board, connect a Bluetooth module and operate it with an app? Using less fiberglass and components to get the same result. Otherwise, it is a hard sell compared to AC spot welders. Using bluetooth and an app would only save the display and maybe the rotary encoder on the welder. Therefore add an additional bluetooth module. So maybe 5€ cost savings. But then you would always need to grab your smartphone to check what settings the welder is on or to change something. I prefer to have this information directly on the welder.